Playing sports can have a number of positive life-long effects, namely the promotion of health and fitness. It's also a way to develop important social skills. For a lucky few, playing sports can even be financially lucrative. There are a couple of potential negative effects of playing sports, including the risk of injury or eating disorders. Playing sports you enjoy can help you meet recommended activity levels. In a 2012 article written for the American Orthopaedic Society for Sports Medicine, Dr. David Geier claimed playing sports was linked to reduced rates of obesity, high blood pressure, diabetes and other poor health conditions. A 2012 Melbourne University summary fact sheet claimed playing sports leads to the healthy growth of bones, muscles and connective tissue in children. It also suggested children who play sports tend to remain more physically active as adults and are less likely to smoke or use drugs. The social benefits of playing sports last well beyond youth. 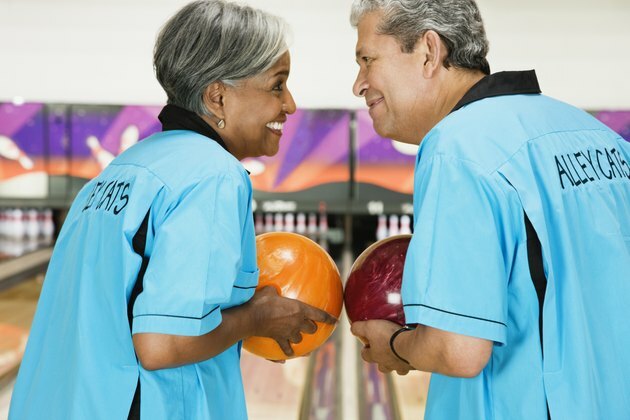 Team sports offer adults of all ages an opportunity for social interaction. A 2009 study by Asztalos, M. et al. published in the "Journal of Science and Medicine in Sport" found playing sports reduced stress levels among adults while other forms of physical activity did not. While your chances of ever making it to the pros are slim, sports can still lead to career opportunities. You can become a coach or official, and with the right education and experience become part of the sports media. Playing sports could be your ticket to a cheaper education, too. The data-compiling website scholarshipstats.com reported that 177,000 student athletes had some or all of their education paid for in the 2012-13 academic year. Of course, with any physical activity comes the risk of injury, but some sports are definitely more dangerous than others. In a 2011 survey, the non-profit Safe Kids Worldwide reported that over 1.35 million children sustained sports-related injuries bad enough to merit a trip to an emergency room. Some sports even carry the risk of potentially dangerous physical problems off the field. Most notable are the eating disorders that have developed among gymnasts and other athletes that need to cut weight for competition.